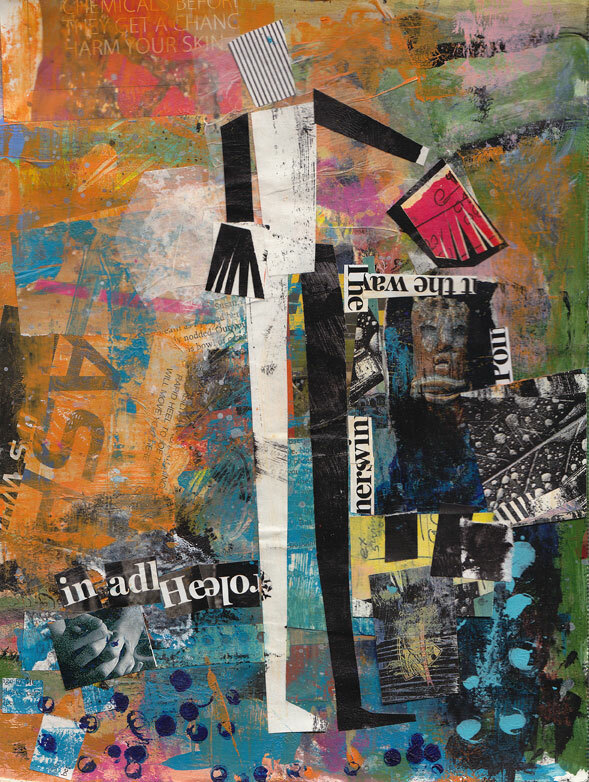 My collage/mixed media work is created by using found or hand-painted papers combined with acrylic paint. I make representational pieces featuring scenes or people that I’ve seen myself as well as very abstract pieces. I use found or purchased papers and paint them with acrylic paints. 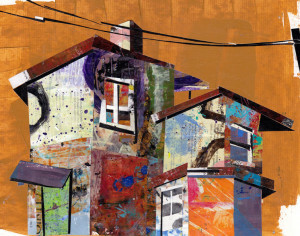 To make my collages, I will alternate layers of paint and collage until I feel the piece is complete. 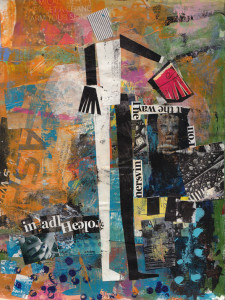 I use this technique to make art collages, Mail Art, Artist Trading Cards, and art books. 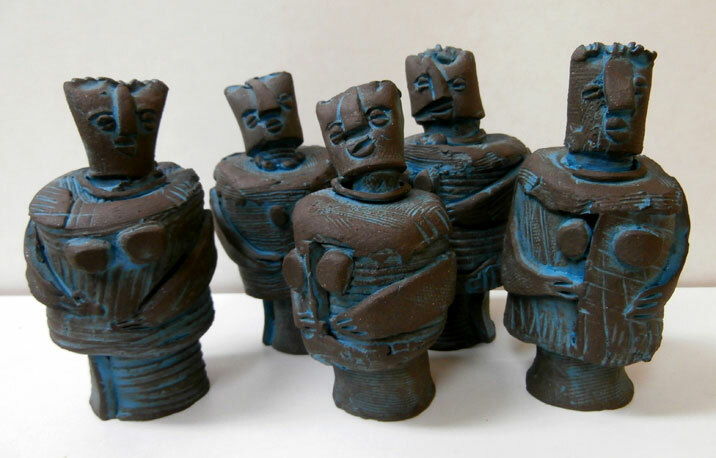 In my clay work, I do hand-built figurines, sculptures, and relief tiles. My subjects include everything from architecturally based building sculptures to female figurines in flowing dresses to tiles portraying dancing people, birds or fanciful animals. In addition, I make mosaics using tiles I’ve made myself, and I create sculptures that incorporate concrete and tiles. 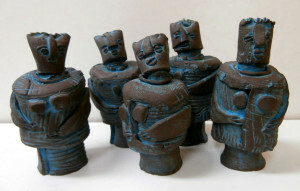 Also look for the 3 clay Figurines that Claudia donated to the MAAG Silent Auction. 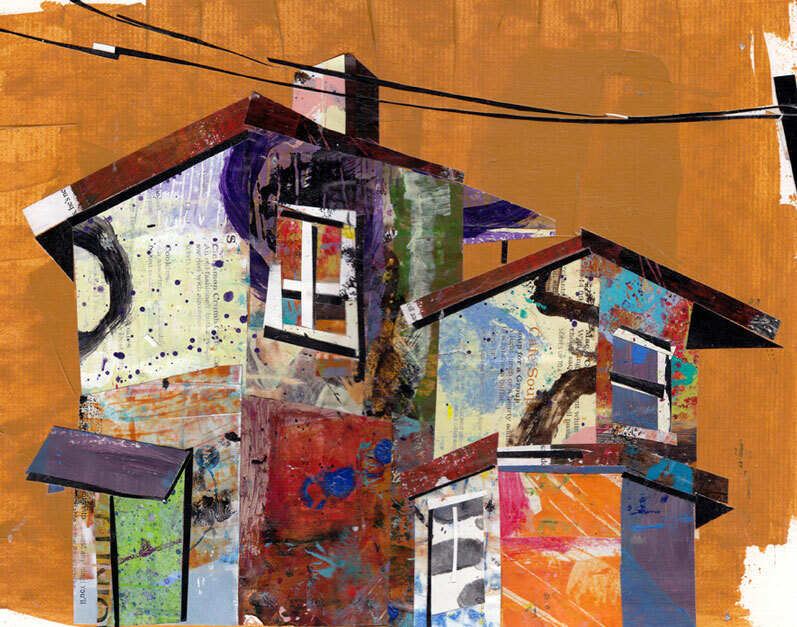 Join mixed artist Claudia McGill for a session of making collage. Spend two and a half hours one-on-one exploring this medium. The activities will be tailored to the student’s experience and interests but will include instruction as to techniques and materials, creativity exercises designed to get inspiration flowing, and time to work on an individual project. The session will be held at the MAAG at a mutually convenient time to be scheduled. Bring your scissors and be ready to create!